Clutter is a problem for many Americans. When it goes from clutter to chaos, it becomes hoarding. While it can seem nearly impossible to clean up a home that is overwhelmed with clutter, you aren’t doomed to a life in a messy house. Follow these five steps to overcome your hoarding habit. Figuring out why you have so much clutter is the first step toward getting rid of it and breaking the habit. Many people keep things “just in case” they’ll need them later. Others keep unnecessary clutter because of emotional attachments to objects. Determining why you keep things you don’t really need will help you immensely during the cleanup process. Clearing clutter from your home won’t be a fast process. It’s okay to take your time and examine the items in your house to determine whether or not you really need them and why you’ve kept them for so long. As a general rule of thumb, items that you haven’t used in more than one year should be sold or given away if they don’t have considerable financial value. Start by examining one room or one section of a room at a time to avoid feeling overwhelmed. Most people that hoard realize that they have some items that they simply do not need once they start the cleanup process. That’s because unimportant items like junk mail just tend to accumulate when your home is full of clutter. Take the time to get rid of those items first. It will be easy for you to do, and you’ll start to see how much better your home will look when it’s finally completely free of clutter. If you have items that you don’t need in your home but you absolutely want to keep – items like pieces of antique furniture passed down by family members for example, renting one of the many Baltimore MD storage units can be very helpful. You’ll be able to keep the things that matter to you for a low cost, but they won’t be in your way and creating clutter on a daily basis. Cleaning an entire house on your own can be a really difficult task. 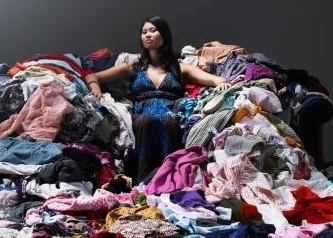 In fact, most hoarders that want to overcome their problem simply aren’t up to it because it’s just so overwhelming. That’s why it’s important to ask friends and family members you can trust to pitch in. Ask a friend to get rid of recyclables or toxic items; ask another to take care of old furniture that you don’t want to keep. You’ll be surprised how many people are willing to help you build a better life in a clutter-free home. If you feel your hoarding problem is serious enough, it is advised to seek help from a mental health professional. This article was written by Dixie Somers. If you’re looking for a good place to store your necessary belongings, visit http://www.extraspace.com/Storage/Facilities/US/Tennessee/Memphis/501756/Facility.aspx. Previous Previous post: Feliz Cinco de Mayo!